‘The Oath’ hangs from the coattails of better movies that came before it – Cinema or Cine-meh? 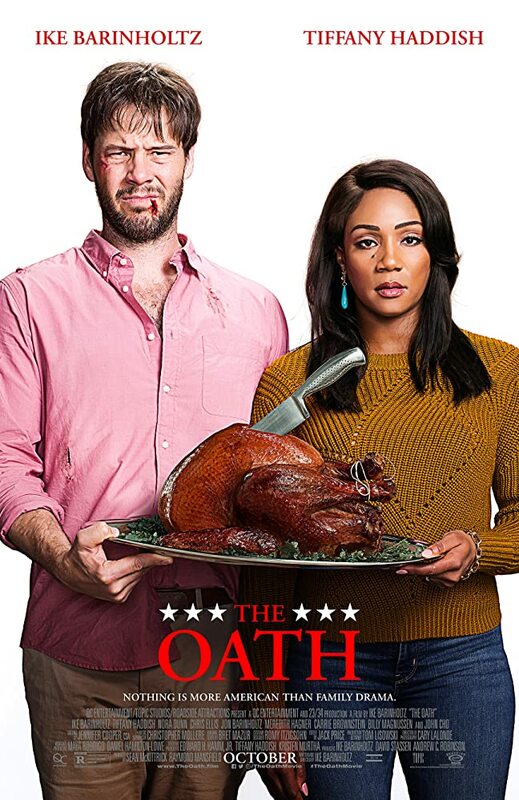 I commend Ike Barinholtz for being so inspired by current events to write and direct “The Oath.” I really do. And, judging from his very active Twitter account, I believe he’s genuinely interested in exploring the deep divisions that are tearing America apart. But watching “The Oath,” you get the feeling that he’s just cashing in. Cashing in on a very easy 2018 plot—a loyalty oath to the President that causes a riff in a politically divided family over the course of a Thanksgiving weekend. On the one side is news junkie and aspiring chef Chris (Barinholtz), his wife Kai (Tiffany Haddish), and his sister Alice (Carrie Brownstein). On the other side is, well, everyone else: Chris’s brother and parents, plus the government agents (John Cho and Billy Magnussen) who make a surprise appearance at the front door. Except Barinholtz doesn’t have his idea fleshed out fully. 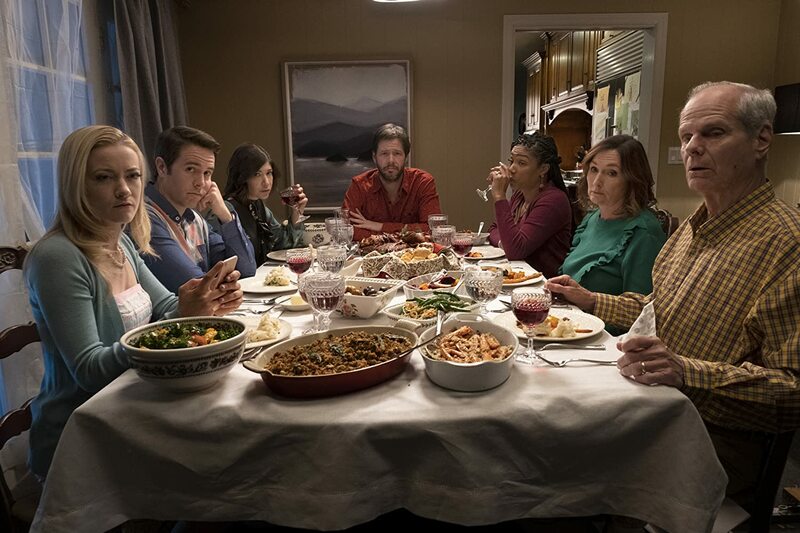 His character Chris might be able to make the perfect Thanksgiving turkey, but Barinholtz’s idea is sorrowfully undercooked. “The Oath” reminds me why I stopped watching the news at home. It became addicting—armchair quarterbacking America’s political system. Some might call it civil discourse, but lately it’s been hard to argue that your Facebook posts are doing anything to change anyone’s mind. Mine either. 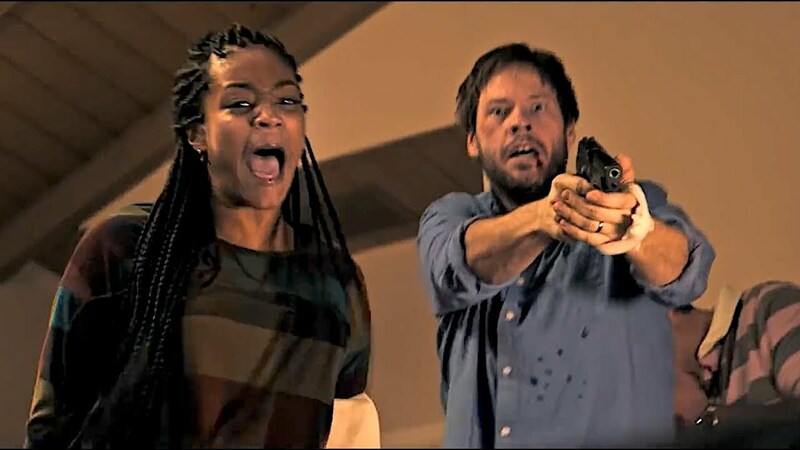 I’m not sure if this was Barinholtz’s intent, or why he would want it to be, but “The Oath” exposes both sides as hypocrites. Both Chris and his conservative sibling cite Twitter feeds as valid sources, and both dismiss the other side without consideration. In the end, you’re left hating almost everyone and thinking that anyone who engages in political talk is ignorant and misguided—but, considering Barinholtz himself is an active participant in the conversation, I can’t imagine this was his hope. Obviously, Barinholtz wrote the screenplay with himself in mind for the lead role. After seeing him share duties pretty evenly with Leslie Mann and John Cena in “Blockers” earlier this year, I was ready to concede that the “always a bridesmaid, never a bride” actor Barinholtz was ready to handle leading man duties in a wide-release comedy. And I still think he could do it, if the role was right. I blame his writing more than his acting this time around. Funny people saying unfunny things are not funny. The lone exception in this case is Carrie Brownstein, giving what I believe was the best effort among anyone on this cast. Her deadpan delivery (with help from years of practice on “Portlandia”) actually makes some of the lamer lines work better than they should. But it’s not enough.